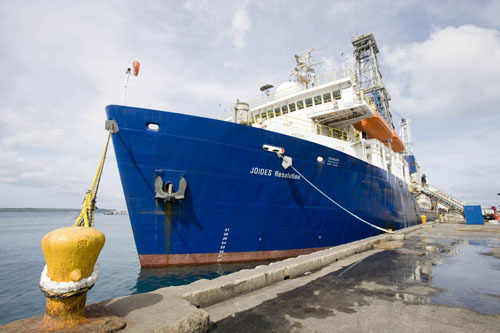 The JOIDES Resolution left Singapore on 25 January 2009 to conduct sea trials at Ontong Java Plateau Site 807. It is scheduled to return to Honolulu on 5 March 2009. For additional information, please see the Expedition 320T Information page. Modified on Friday, 20-Feb-2009 23:21:33 CST.